Explore Amsterdam's rich cultural heritage, art, architecture, and canals. 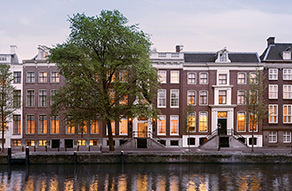 Stay at one of our historic hotels, including Sofitel Legend The Grand Amsterdam (1411), Pulitzer Amsterdam (1600s), Waldorf Astoria Amsterdam (1600s, pictured), and Grand Hotel Huis ter Duin (1885). 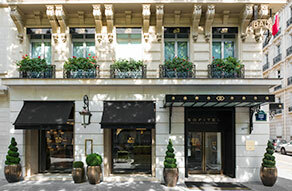 Stay at one of 17 historic hotels in Italy, including Villa del Quar (47 A.D.), San Clemente Palace Kempinski (1131), Metropole Hotel (1500), Bernini Palace Hotel (1500), Hotel Papadopoli Venezia-MGallery by Sofitel (19th, pictured), Hilton Molino Stucky Venice (1884), Grand Hotel Tremezzo (1910).